Livebots is a platform for all the robots that people can interact with through the internet. Visit our website and try them for yourself! 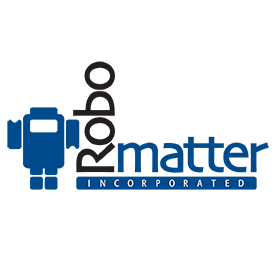 Free Robot Virtual Worlds Webinar, Robomatter, Inc.
We understand the challenges robotics classrooms face every day in terms of cost, number of robots, batteries, and homework. That is why we created Robot Virtual Worlds (RVW). With RVW, every student can experience the same benefits of learning robots, right on their computer. RVW currently simulates popular real-world VEX, LEGO, and TETRIX robots in a 3D environment; while using the same language, ROBOTC, to program both your virtual robot and your physical robot. To help you get started and get a better understanding of what RVW can do, we are offering a FREE webinar on Google Hangout on Monday April 8 at 4pm EST with project manager, Jesse Flot, and some members of his team! We will show you a brief tutorial on the specific topic of the day then take a few questions from the Google Hangout chat or on twitter using hashtag #RVWHangout. Topic: Using the RVW Curriculum Companion. - Free ROBOTC Curriculum, including programming challenges. - Programming challenges, along with the curriculum robots. - Solve one of the challenges. - Benefits of using RVW in addition to or in place of real robots. - Badges with RVW and on CS2N. A VEX Robotics team and a FLL team, both made up of 4th - 8th graders, will be featured on WGN Morning News (syndicated around North America). Estimated time of appearance is 7:40 AM Central Time. #STEMChat is a monthly Twitter chat that brings together parents, educators and STEM professionals to share ideas and resources to raise STEM-loving kids. On April 11, we'll be talking about what roots are, how they can be made at home and what it's like to start or run in robotics club.